For further warranty information, please call us at 888.246.3639 or e-mail us at repairs@hedcycling.com. PLEASE NOTE: Any wheels sent to us for warranty or repair must be clean and free of any/all accessories such as tires, tubes, rim tape, cassettes, skewers, axles, disc brake rotors, track lockrings, and reflectors (or there will be a service charge). We are not responsible for any loss of these accessories. 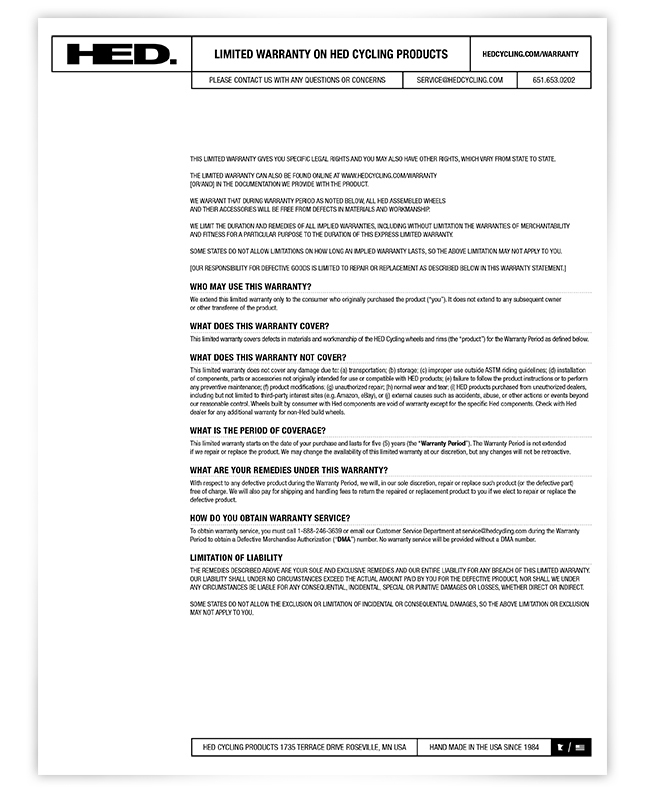 CLICK HERE TO DOWNLOAD THE OFFICIAL HED WARRANTY PDF.